Thank you from the bottom of my heart for all of the support that has been received in the last two weeks. This short but yet sweet podcast expresses my gratitude and introduces a new feature segment, Q & A to address your most pressing student loan questions and concerns. 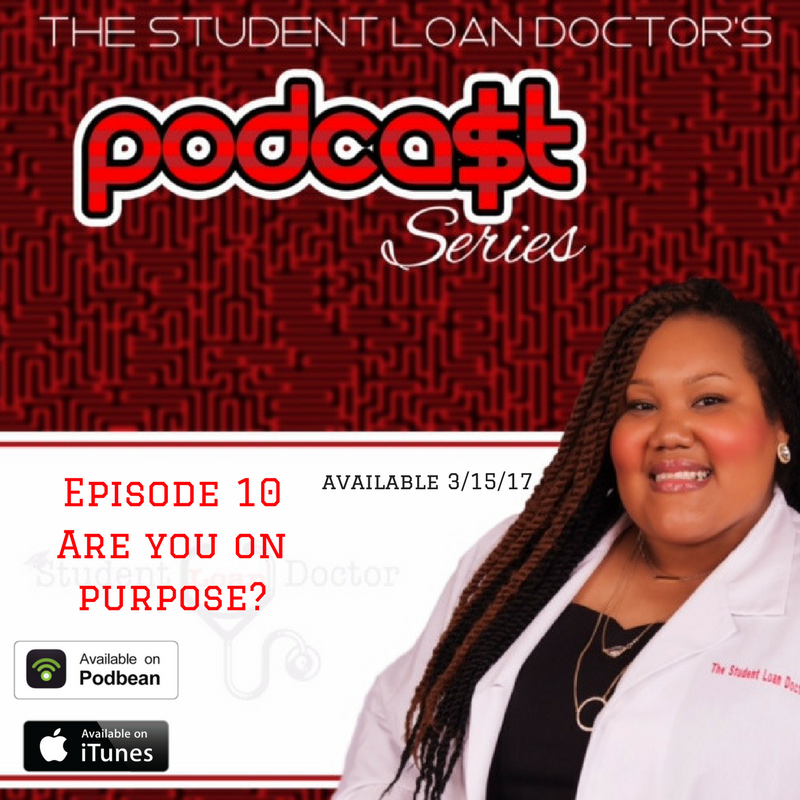 Please email me at podcast@thestudentloandoctorllc.com to share your story of your loans and provide me with your questions. Is Federal Consolidation of Your Loans Right For You? In this episode we will discuss if federal student loan consolidation is right for you. I will explain what consolidation is, the benefits- pros and cons so that you may make the best decision for you. Please click here to schedule a free discovery call to speak with us. Also, click here to check out our budgeting tools and guide! Everything is currently on sale! A quick and special podcast asking you to check in with yourself and ask, are you on purpose? Don't forget to leave me a review on Itunes. Tune in to find out how I was able to leave my 9 to 5 job. You must have 4 key principles: faith, vision, relationships and a solid financial understanding. Help! My Credit Score Dropped! On this podcast episode we discuss how consolidation and loan repayment impact your credit score. We discuss why borrowing for a program should be no more than your expected salary amount. Lastly, we discuss why getting out of default is important! Visit our profile on Instagram: thestudentloandoctorllc or online at www.thestudentloandoctorllc. Book an appointment with me to create a plan to understand and pay off your student loan debt!